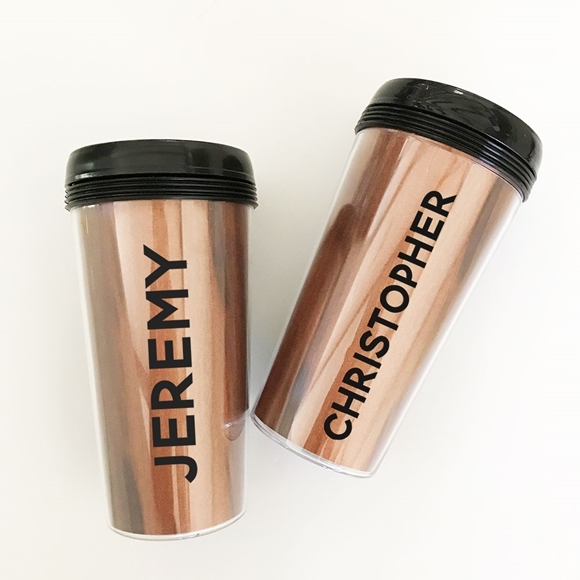 Each travel tumbler comes with a wood-grain printed background and is personalized with the name of your choice (and an optional second text line) in black. Travel tumblers are made of BPA-free acrylic and come with a black twist off lid. Care instructions: Hand wash only as the travel mugs are not microwave or dishwasher safe. PLEASE NOTE: Sold individually.